Ducks love it; cars, not so much! 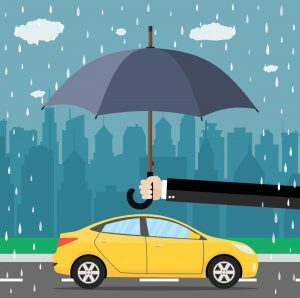 As I sit writing this with it thrashing down outside; and with British Summertime fast approaching – what better time to prepare your car for the inevitable rain!! 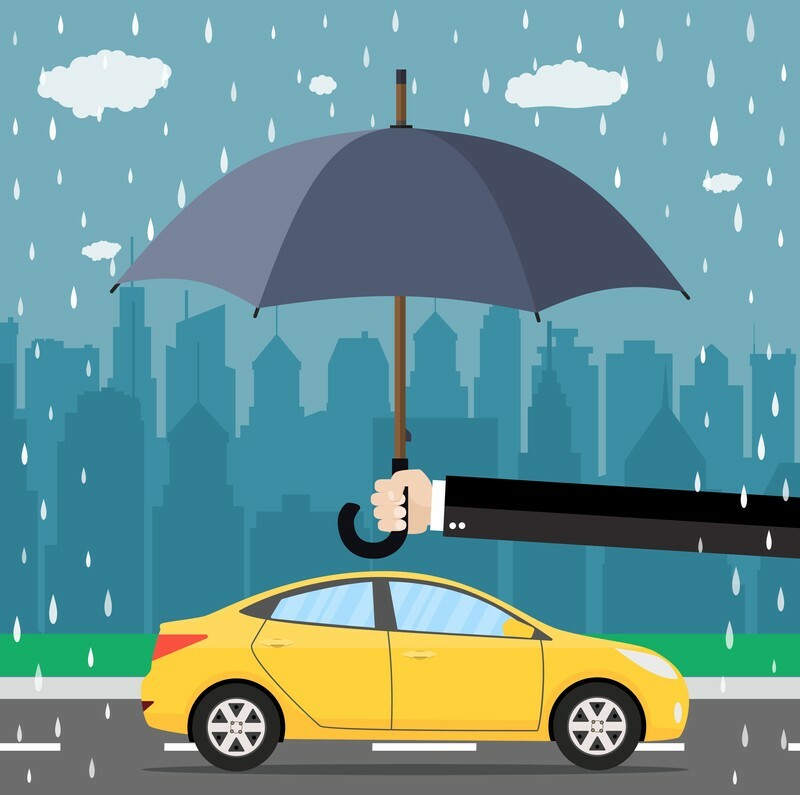 The majority of road traffic incidents happen in the rain… it’s not rocket science; we all know that reduced visibility, longer stopping distances and an increase in vehicles on the road all contribute to the increased risk. I cannot stress enough how important this is. If you do only one thing… please make it this. The grooves on your tyres are there to channel water away from the ‘contact patch’ of rubber that glues your car to the road. Excessively worn tyres with shallow tread struggle to move water out of the way. Hit a deep enough puddle and the entire contact patch can be momentarily lifted clear off the ground – causing the car to veer out of control or spin. This is called ‘hydroplaning’. And it happened to a friend of mine, a very experienced and ‘safe’ driver in fact – and sadly it cost him his life. If you’re not sure how to check your tyres or simply can’t be bothered, please do just pop into us and we’ll check them for you. As water dries on the glass it leaves mineral deposits that dirt will stick to. This dirt can cause smearing when you use your wipers, and at certain times of day, mainly dusk and dawn, it can be really difficult to see through the smears. A quick clean and your sorted. Are yours working correctly… if you’ve been putting off getting replacement blades now is the time to do it! They are very cheap to replace and make a big difference to your visibility and therefore safety. We’ll even fit them for you if you like ???? The windscreen washer nozzles can get clogged up over winter… simply wiggle a small needle in them and they should be right as rain (sorry! )… or if they are too far gone it’s relatively cheap and easy to replace them. While some batteries can last several years, cold wet weather can stress your battery so it makes sense to keep an eye on it. If your car becomes harder to start, or the lights dim at idle, it’s probably time to change it. Spending for a new battery is a whole lot better than spending time stranded in the rain.